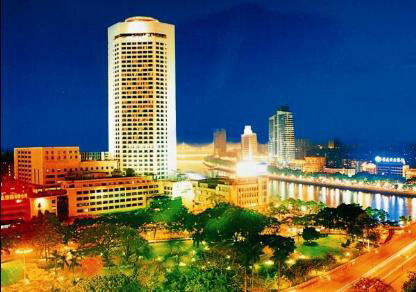 Hotel Landmark Canton, undoubtedly the best four-star hotel in Guangzhou. Addr: 8 Qiaoguang Rd, Haizhu Square, Guangzhou 510115, China . 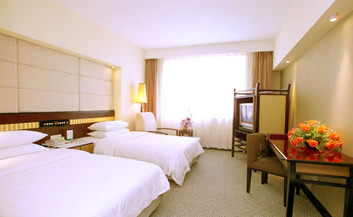 Reserving the guest room at Hotel Landmark Canton, please select the convenient online reservation system. Your booking will Save 15 Percent . 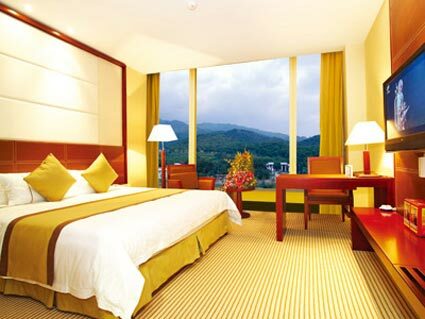 is the flagship hotel of GD CTS Landmark International Hotel Holding Ltd. It stands towering alongside the beautiful Pearl River and is located at the busy zone of Haizhu Square, with convenient shopping and entertainment. Being situated at the converging point of transportation networks, the entrance of metro intersection of line 2 & 6 is just nearby. And at the frontispiece of the hotel, where many merchants and tourists gather, are the through buses running between Guangzhou and HK / Macao. Hotel Landmark Canton of 39 storeys has 483 comfortable luxurious rooms and apartments, as well as superior office buildings of 20,000 square meters. 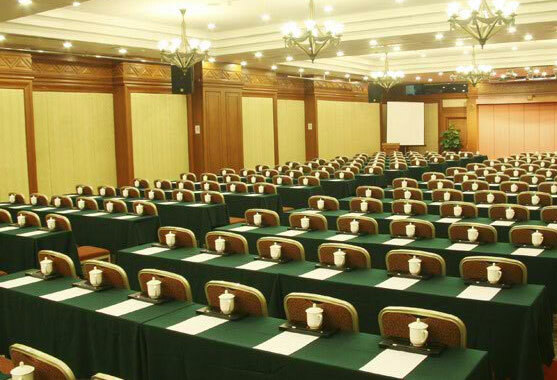 Every room is well equipped with facilities, like IDD/DDD telephone, 24-hour music channels, in-house movie, and satellite TV services of many countries such as US, Germany, France, Italy, Japan, India, Vietnam and Thailand. In addition, free broadband access is available in all rooms. 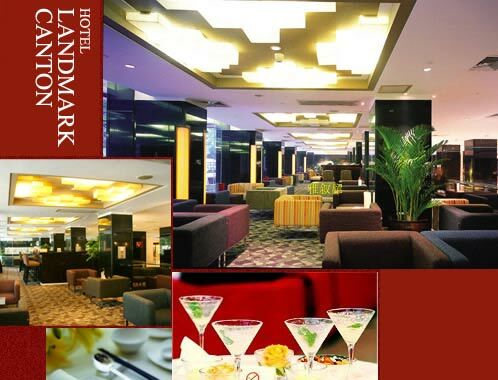 Landmark Club of Hotel Landmark Canton has especially set up particular areas for the use of distinguished guests, like bar, meeting room, audio-visual experience room and gymnasium, which provides you 24-hour personalized and all-round exalted services. Business rooms adopt the open-plan design, which expands office area and makes room more spacious and comfortable. It is indeed the favorite choice of businessmen and tourists. 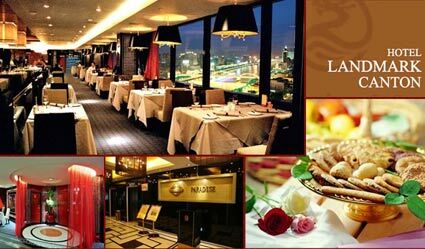 Six characteristic Chinese and western restaurants provide various fine foods. There are entertainment facilities here including tennis court, table tennis room, gymnasium, indoor warm swimming pool and sauna. In addition, there is a full range of other service facilities like business center, beauty salon, clinic, post office, bank and laundry. Whether you are in business or on holiday, you can always enjoy comfortable, convenient and all-round services here.